Ty Pennington and the team from Extreme Makeover – Home Edition headed for Fayetteville, North Carolina to meet the Marshall Family. Barbara Marshall, a Navy veteran, is fighting to end homelessness among her fellow female veterans. This formidable woman established The Steps-N-Stages Jubilee House in Fayetteville using her own money. Jubilee House offers shelter, support and services such as mentoring and life coaching to homeless female veterans. Barbara’s life is dedicated to these women… they are her mission, her family, her passion. Unfortunately, Jubilee House needed additional space and resources. In short, Barbara needed help. The paratrooper team from the U.S. Army and other service members joined Ty and the gang to knock on the door of Jubilee House. They send Barbara Marshall and her family to Walt Disney World, where they are honored at a military-family themed parade. During the parade, Mrs. Obama surprises the Marshalls and guests at the park with a video greeting from The White House. Special dog tags have been created to honor Barbara’s work. But the biggest surprise comes when Barbara’s active duty soldier daughter shows up to give her mom a hug. Johnny Littlefield, Tracy Hutson, Paul DiMeo, new designer Sabrina Soto and builder Chip Smith from Blue Ridge Log Cabins lead the charge this week. A giant rope is fastened around the house and led across the state of North Carolina to the ocean where the Coast Guard goes full throttle to help bring the house down. Later, Ty learns about the First Lady’s “Joining Forces” initiative. In other news, Sears puts on a “Heroes at Home Career Expo” to train vets as to how to use their military training in a civilian job. First Lady Michelle Obama arrives at the house in time to welcome the family back from vacation. Ty shows her the desk he’s been working on for Barbara. He asks the First Lady if she would write a personal note for a space on the desk. Mrs. Obama is happy to oblige. She also wants to know if he wants her to hammer anything. Upon their return to Fayetteville, the Marshalls and hundreds of volunteers gather for the unveiling of the new Jubilee House. The bus doors open to reveal a special team member who helped build the new Jubilee House, First Lady Michelle Obama. Now it’s time to MOVE THAT BUS! You’re In The Military Now. – On My!! I remember the day well, as if it were yesterday; the bus had just arrived for my basic training destination, Fort McClellan, Alabama. The year was 1975 and I was in the Army now…what had I done?! The original California Girl, tanned, party girl and hip hugger pants, was now in the deep South, nowhere land, with a ton of luggage; well prepared for future parties that might occur on the base…I get off the bus and try to retrieve my luggage. I am here to share my story and what I have learned in my years of service in the United States Army Medical Corps and beyond. Once I knew I was here to stay with “Uncle Sam” , I decided I wanted to get the most out of my new career. I chose to do the best that I could for the service and my country. 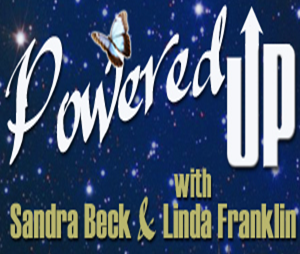 I hope to share the good, the bad and the ugly of my experiences and pass along tips that may help all of you on how to maneuver through the ups and downs of being a woman in the military…CHARGE!! My name is Doris Rivas-Brekke. I served in the U.S. Army as a mental health counselor in the medical corps. Using my military benefits I went on to achieve my Bachelor of Arts in Psychology. I am currently creative director for Military Mom Talk Radio. 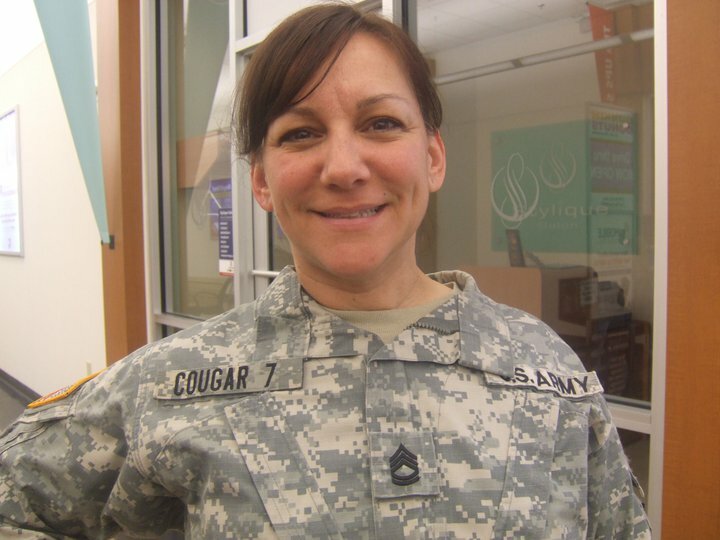 This new blog will serve to give women connected to the military family a strong and powerful voice. It will also be a resource to help them as they re-integrate into civilian life. 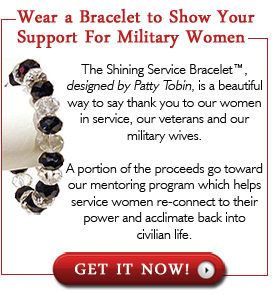 There will be new posts on this blog two or three times a week by women who have served in our armed forces, retired vets and military spouses. They will share their stories and their experiences and through that sharing, we will build a strong and productive community. Thank you to all the wonderful women who have given up so much. Shining Service Worldwide is all about you and the people who want to help you thrive. Bethanie Mazzaro recently returned from her tour of duty in Afghanistan. Upon her return she also filed for a divorce. Both she and her husband were in the Army Military National Guard. The reason Beth filed for divorce was marital infidelity. She discovered her husband’s infidelity about a year and a half after his return from Iraq. They had the best relationship up until she found clues that there was something going on. It turned out to be an office romance but it broke apart shortly after the secret was out in the open. Beth wanted to work on the relationship with her husband, but he just he just wanted to sweep it under the rug and move on. She suggested counseling but he didn’t want to go. The relationship became increasingly destructive and she finally filed for divorce one year after her heart breaking discovery. The legal proceedings were put on hold due to her upcoming deployment. And, by that time, he had already started seeing another woman. When Beth was deployed she found out that he had purchased a house for this new woman, moved in and had even given her Beth’s minivan. Beth’s children who were 6 and 11, did not know of the pending divorce while she was deployed. Although her daughter did find out because her Dad was blatant about his other relationship and had introduced her to his kids.. 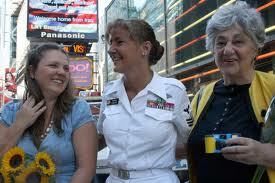 Upon her return from Afghanistan Beth’s divorce was finalized within 30 days. Here’s Beth’s advice for other women who may be going through the same heart break that she did. Surround yourself with great friends and family and take time to heal. Be kind to yourself. She used meditation and Reiki to revive her spirit. She also suggests making a plan and sticking with it. Most importantly, go with your women’s intuition – what you feel in your gut. Spirit does not lie to us. Communication is the key to success. Once the communication stops, so does the relationship…of any kind.